Women nowadays are crazy about beautiful and attractive ornaments. 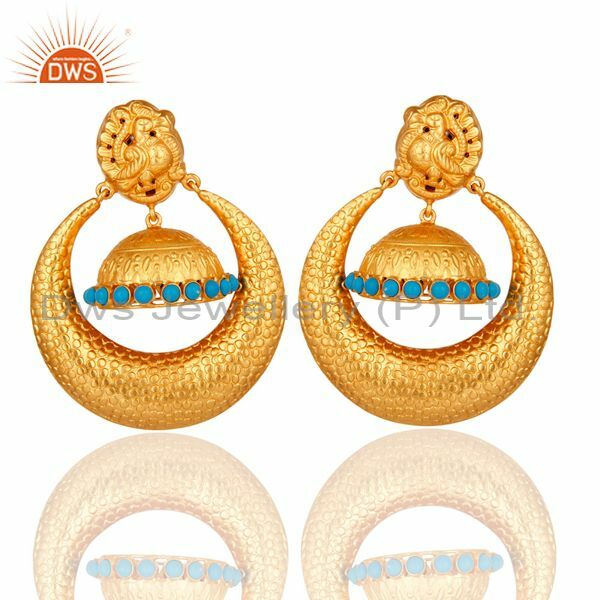 They match their outfit with matching jewelry. 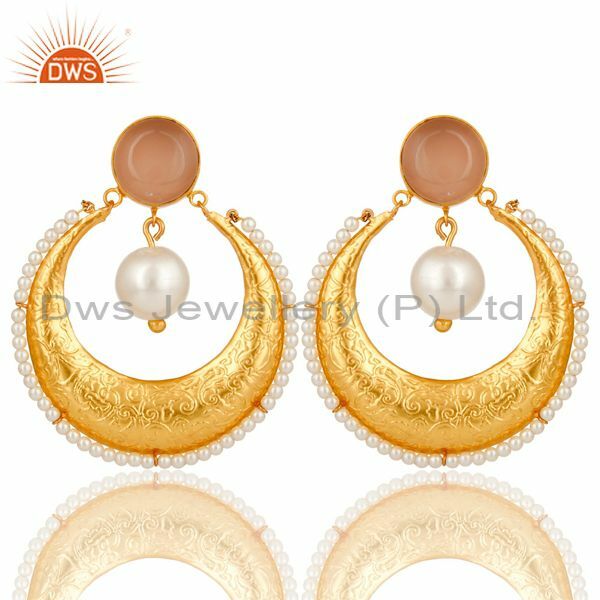 Without proper jewelry, your outfit is not completed. 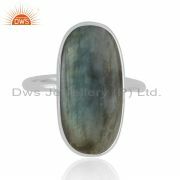 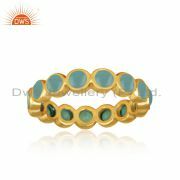 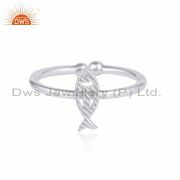 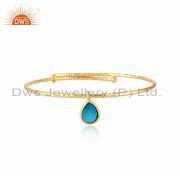 Women are very sensitive about their jewelry and there design. 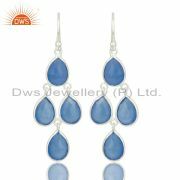 To complete an outfit you need to wear a necklace, earrings, etc. 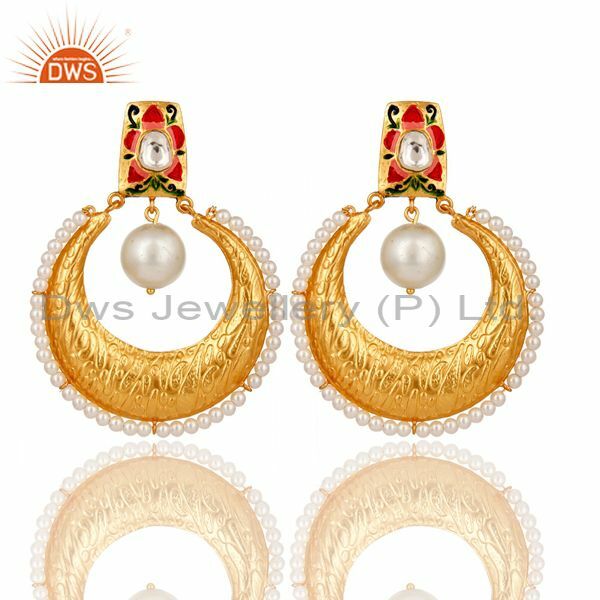 In the market, you will get different types of earrings among which Chandbali earring is one of the types. 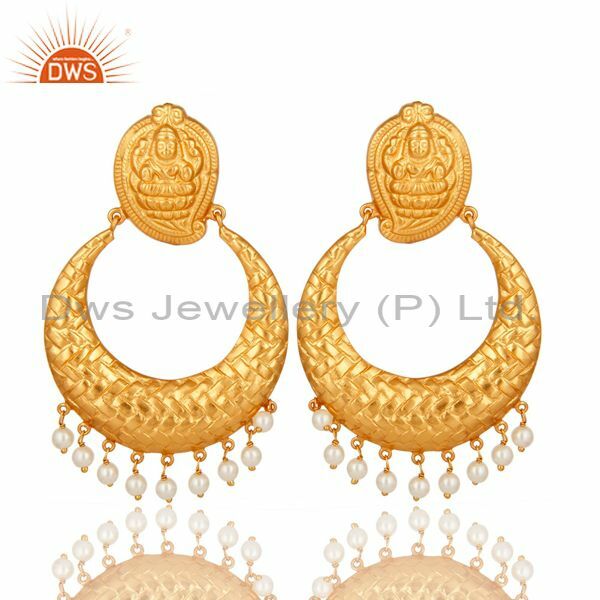 Chandbali earring is one of the trendy fashion among women. 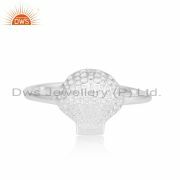 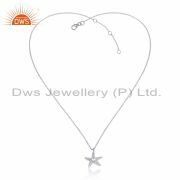 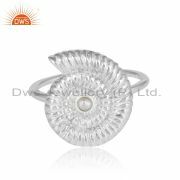 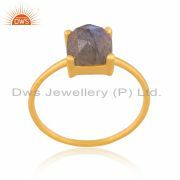 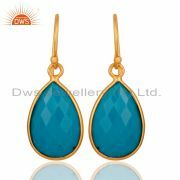 As we all know the jewelry market is growing day by day and come up with a different design of jewelry. One of the best Chandbali earrings shop in Jaipur that you must visit. This shop is unique from other shops. 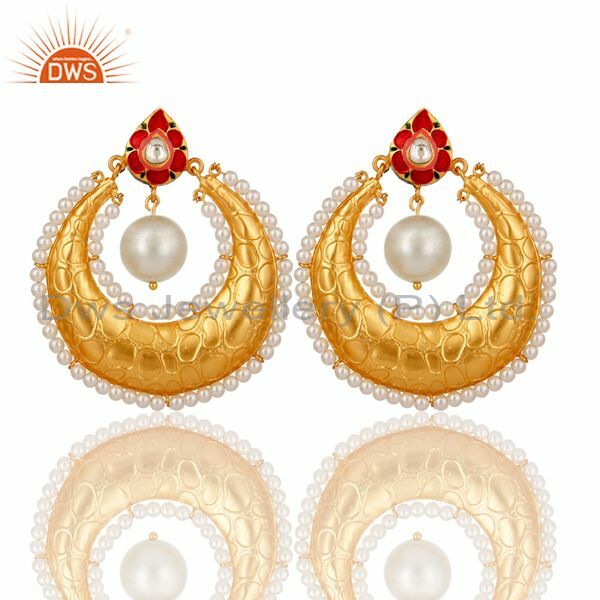 They provide unique and customized earring as they are Chandbali earrings jewelry wholesaler. 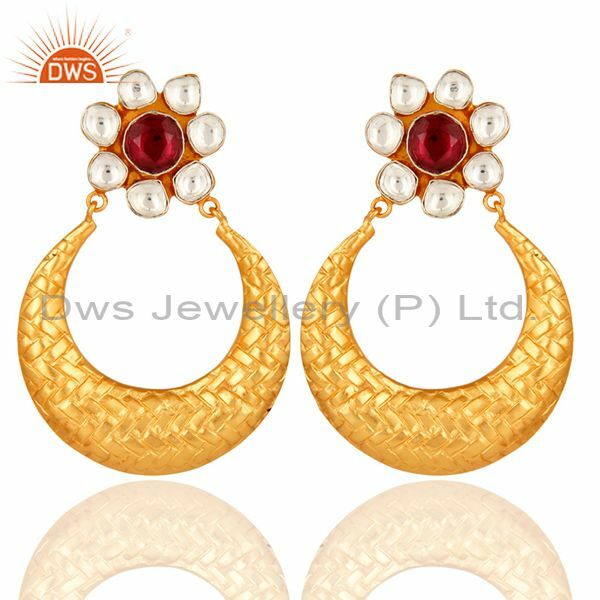 This earring goes with a traditional outfit like saree, salwar kurta lahanga, etc. 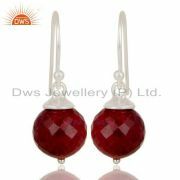 Gifting earrings to your friends or relative is very easy as you don’t need any measurements of anything. 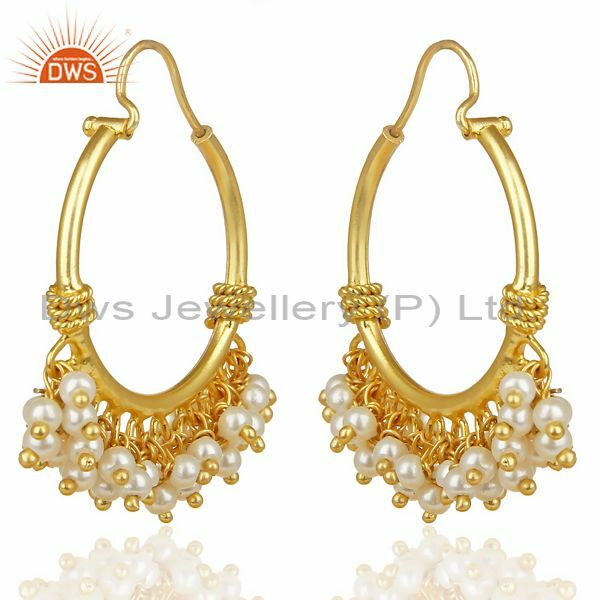 Jaipur also has Wholesale Chandbali earrings jewelry shop which will help you, women, to choose from a verity of earrings. 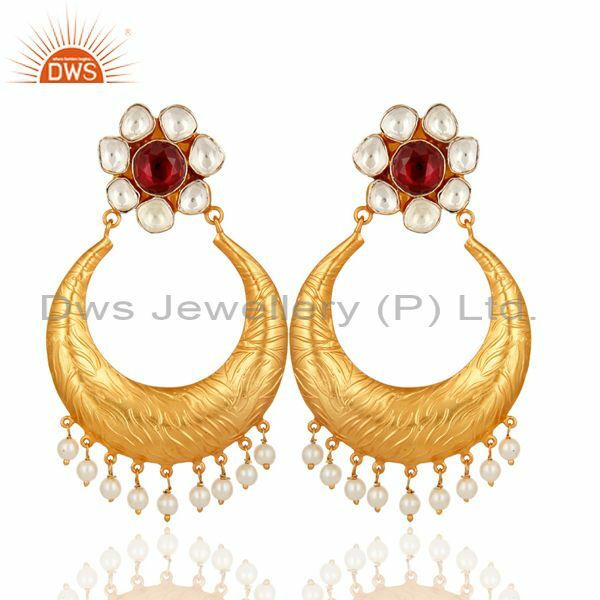 As we know earring is very common among women. Women love to wear earrings every wear. 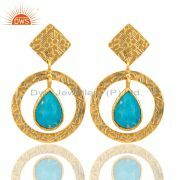 Below are some of the places you can wear these beautiful designers Chandbali earrings jewelry. 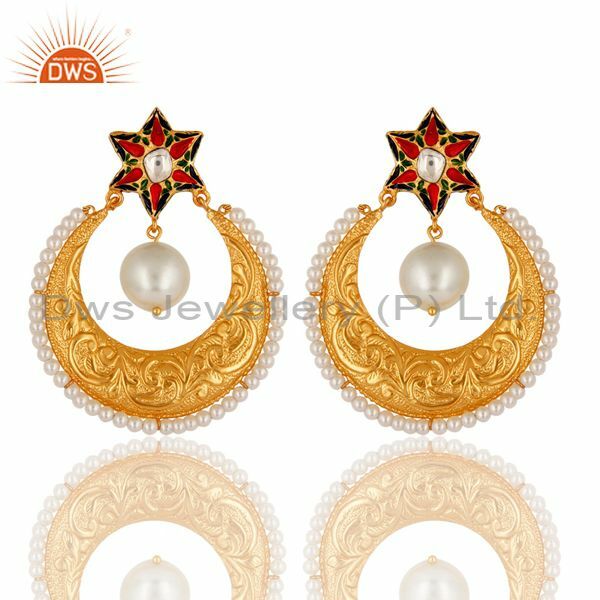 As Chandbali earrings jewelry manufacturer you will get every type and design you want on your ear. 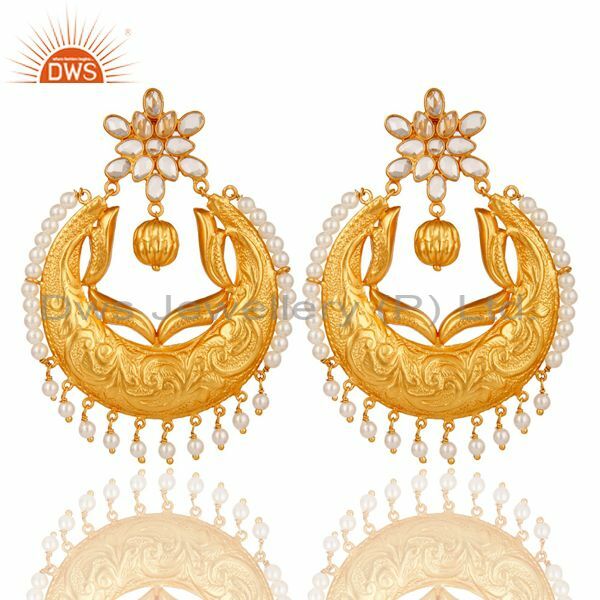 • Casual Occasion: you can carry this beautiful Chandbali earring in you casual occasion. 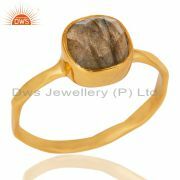 You can carry this with beautiful casual traditional garments. 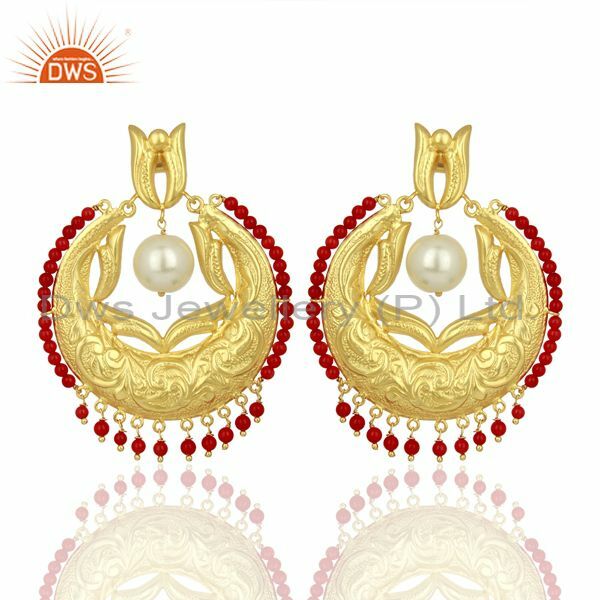 This earring can go with almost all traditional garments. As Jaipur shop is Chandbali earrings jewelry supplier they provide all unique design. 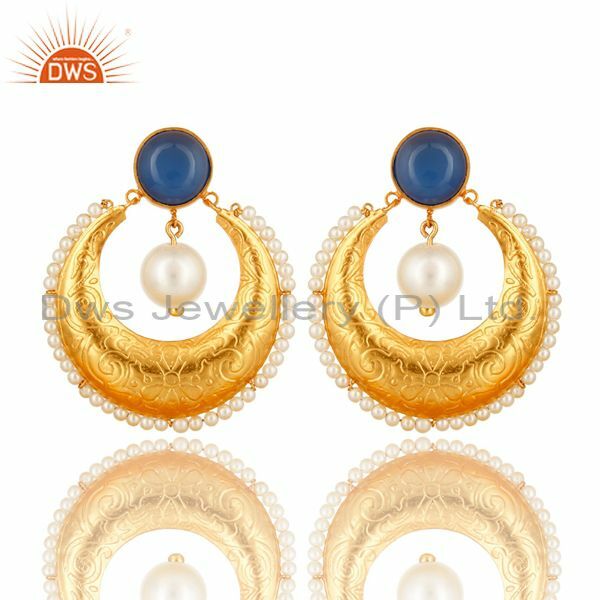 Chandbali earring are very simple and attractive that will catch others attention towards your ear. 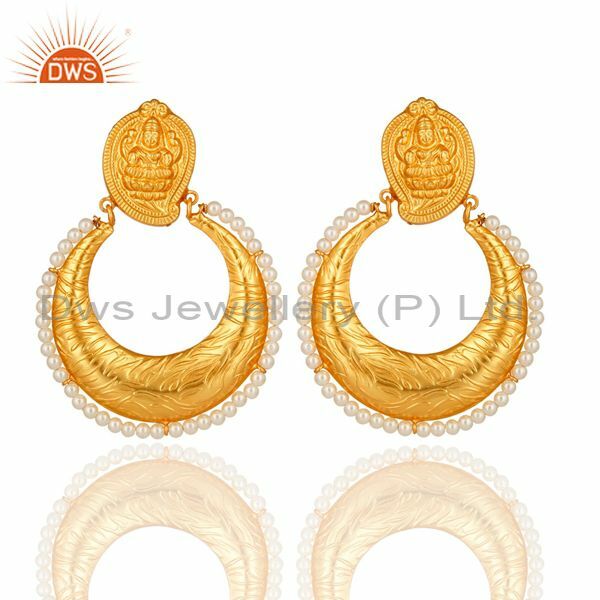 This beautiful Chandbali earrings are very trendy and go with every age. 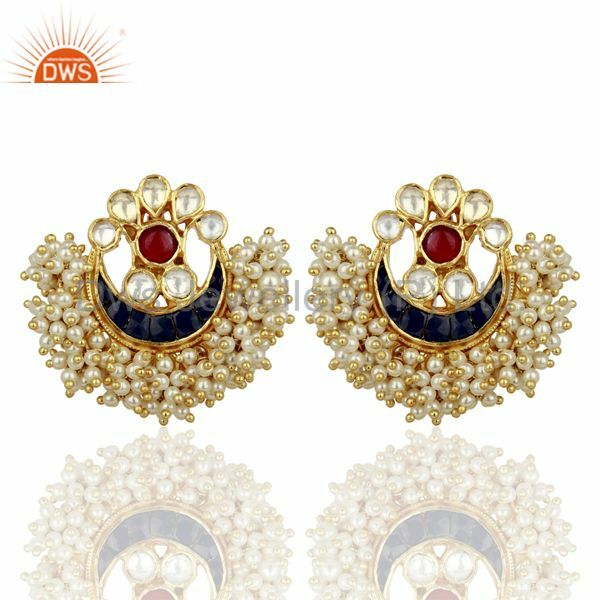 Wear your casual outfit like salwar kurta and wear this attractive Chandbali earring on your ears will complete your casual look. 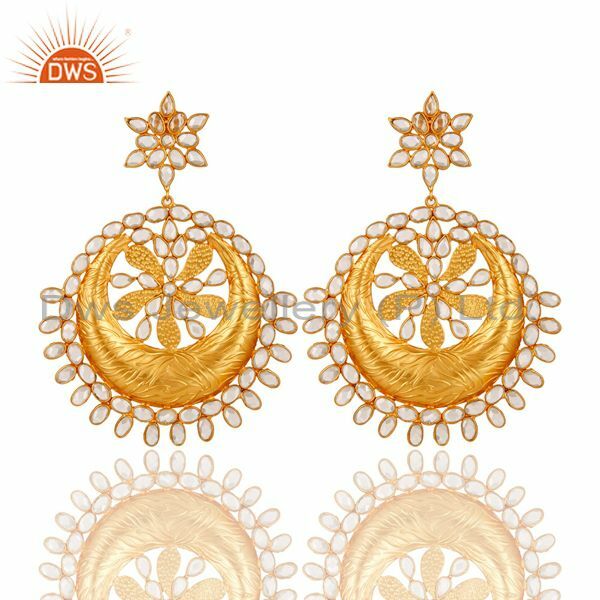 • Parties: wearing and pulling this Chandbali earring with your party dress is very easy. 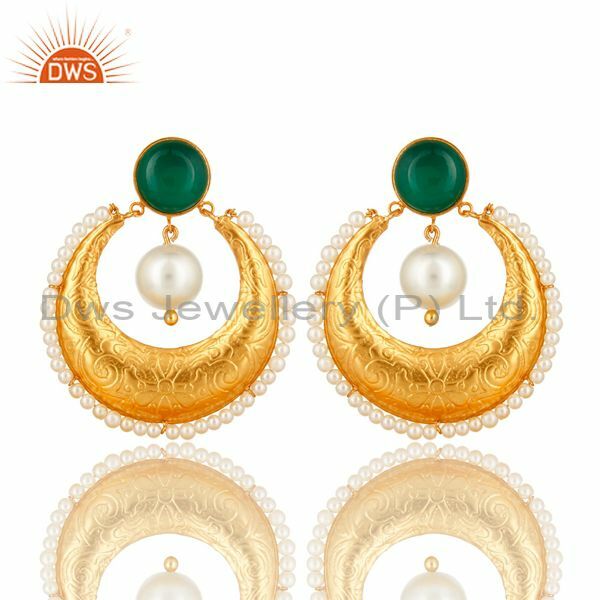 Wear a gorgeous saree and put this beautiful earring on your years and simple bangles on your wrist with a little bit of make will make you look stunning. 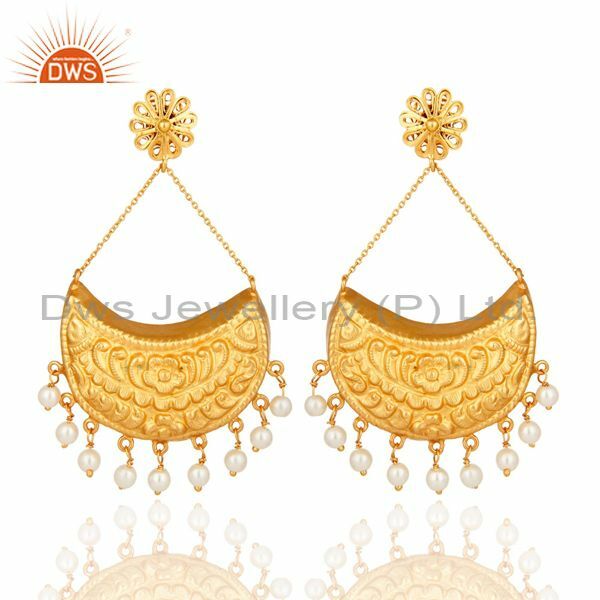 Women like to wear earring with every dress so they can put this beautiful earring with traditional dress and look outstanding. 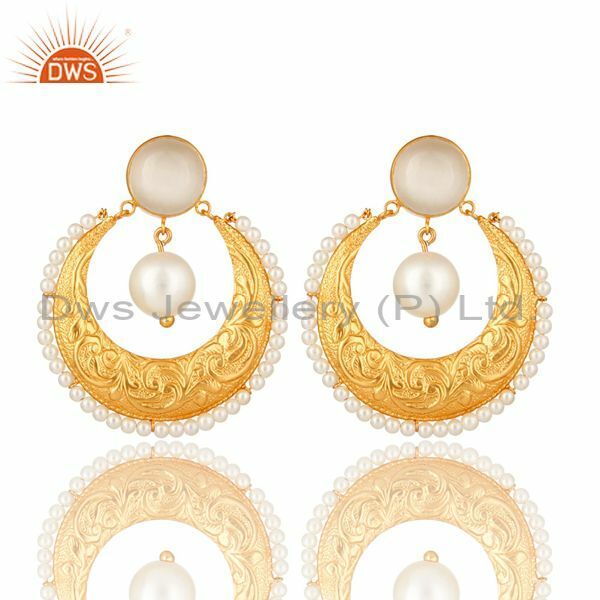 You can even wear this Chandbali earring with a white shirt and a long skirt of any dark color. 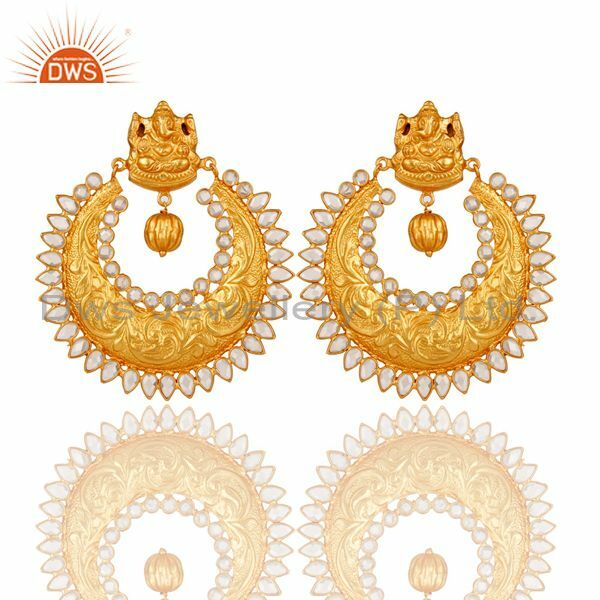 Wearing this chand bali earrings will complete your look. 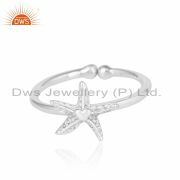 • Work: Going out to work you always like to wear something comfortable but at the same time it should be trendy and attractive. 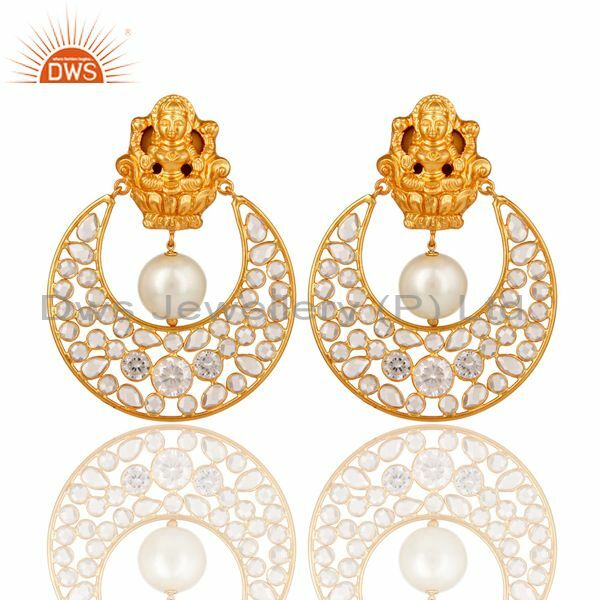 This chand bali earrings even goes with the formal traditional outfit. 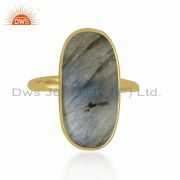 As women never like to look dull in any place. 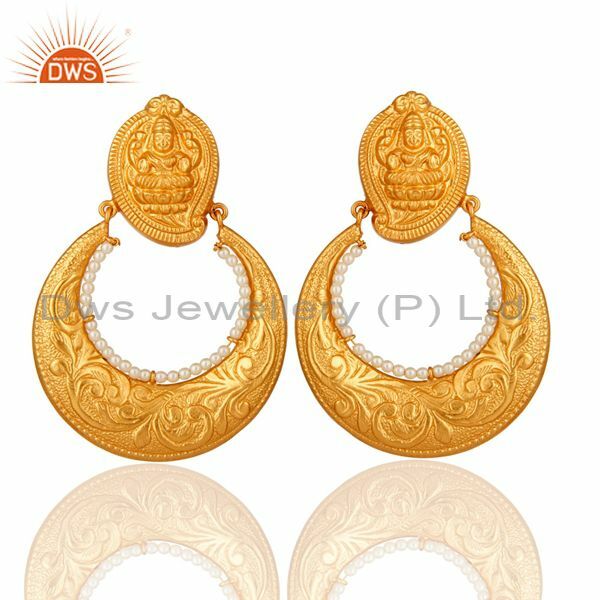 Wearing this beautiful chand bali earrings with salwar kurta or with kurti or long skirt will make your day in office. 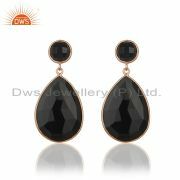 These earrings are very popular among the office goers because it looks outstanding with a simple outfit. 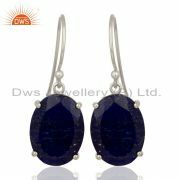 As Jaipur shop is chand bali earrings jewelry exporter they will provide you with different king and design of earring. 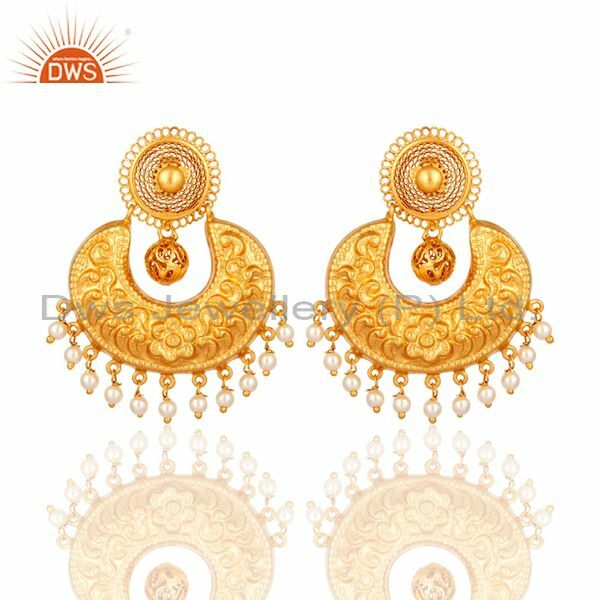 You can very customize your own earring from this shop. • Festive season: one of the best places where you can show off your Chand Bali earring is festive season. 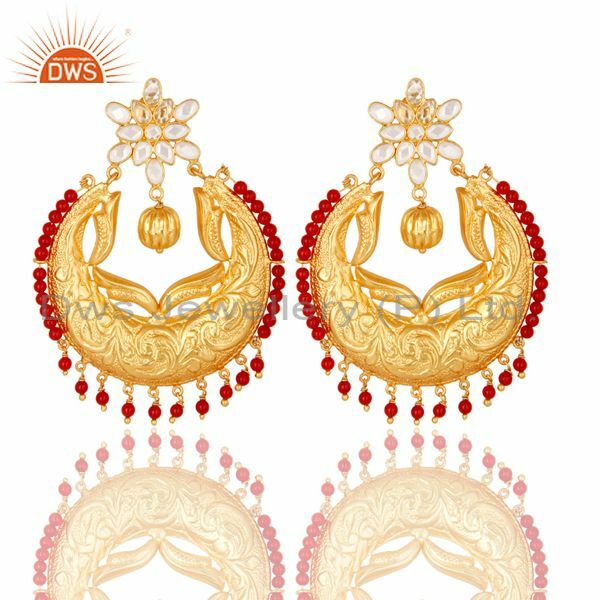 Women mainly wear traditional dress during the festival as women look beautiful with Chand Bali earring which will give you a stunning look to you and your outfit. 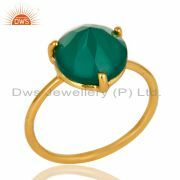 You will easily grab others attention towards you. Always remember if you chose simple outfit always go with the simple Chand Bali earring and if you like to wear designer traditional outfit go with heavy Chand Bali earring. 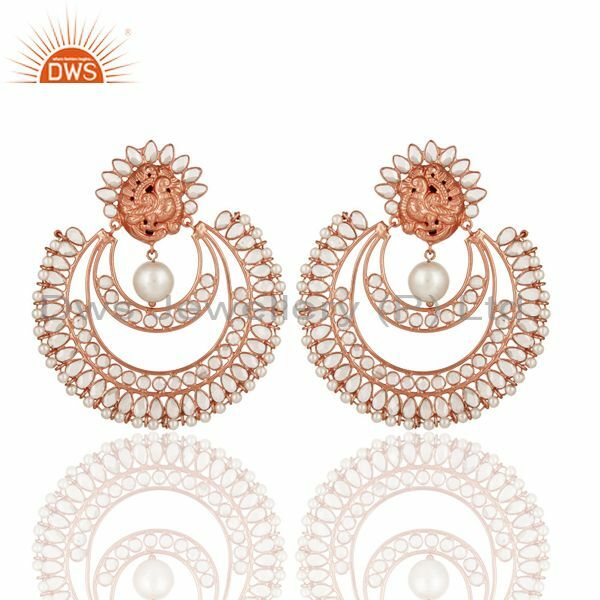 This earring is so beautiful and also comes with comes with a unique design which will force you to buy this for yourself. 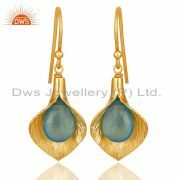 • Formal events: you can catch this Chandbali earring with every formal outfit on any events. 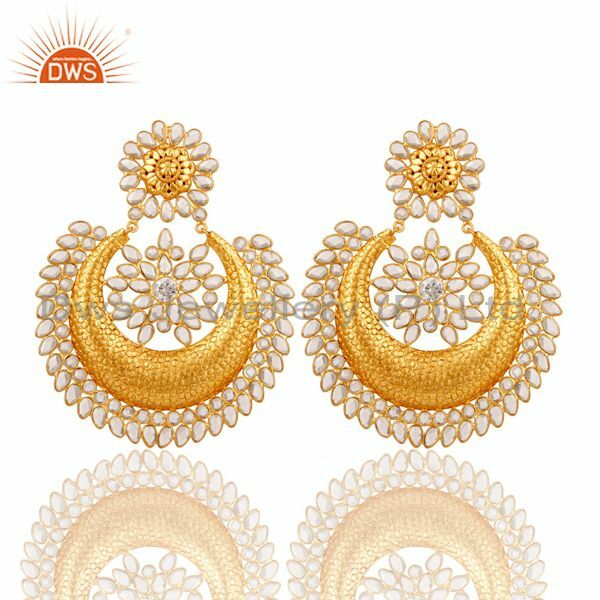 Just grab a beautiful simple saree and wear this Chandbali earring on your ears you seriously don’t need anything more. 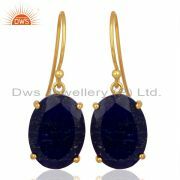 This beautiful Chandbali earring also goes with your formal outfit and will make you look trendy. 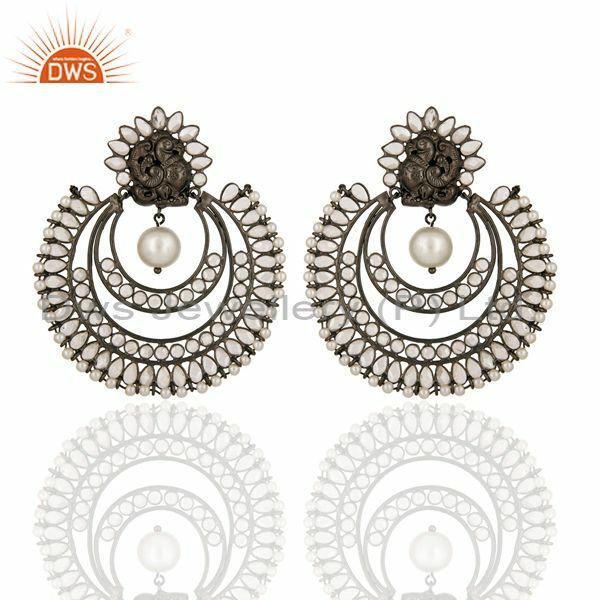 Try to clutch your hair so that you can show it off to others. You will automatically get attention from others as this Chandbali earring will make your day more special. 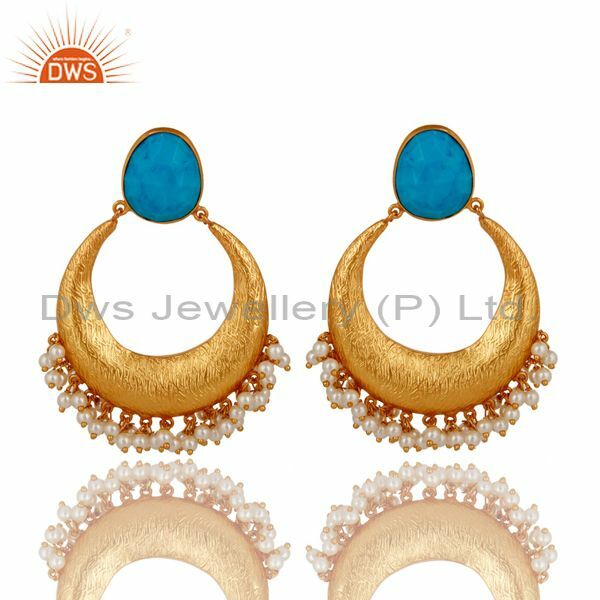 Jaipur has wholesale chand bali earrings jewelry store which can come up with many verities of earrings. 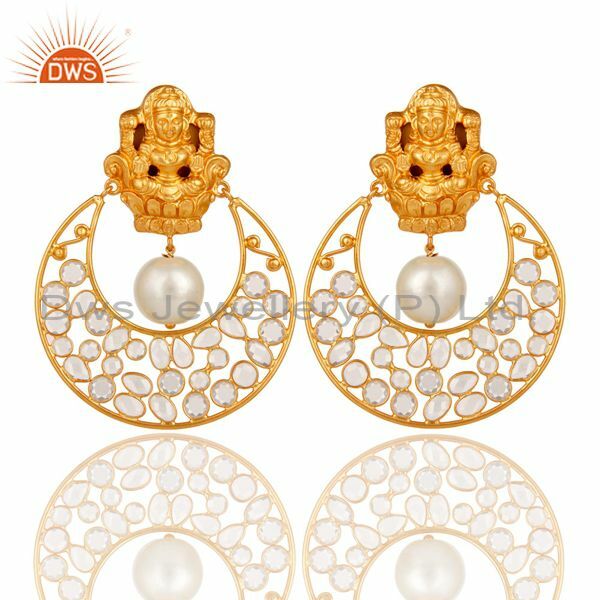 • Facial shape: before buying this chandbali earrings jewelry just keep in mind your facial shape. 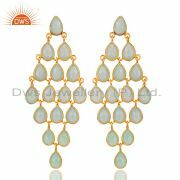 If you have oval shape face long Chandbali will go perfectly on you. 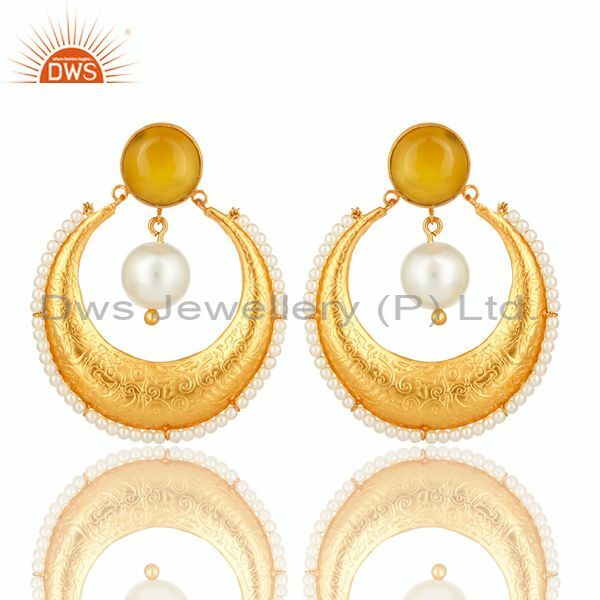 If you have round shape face go with short chandbali earrings. 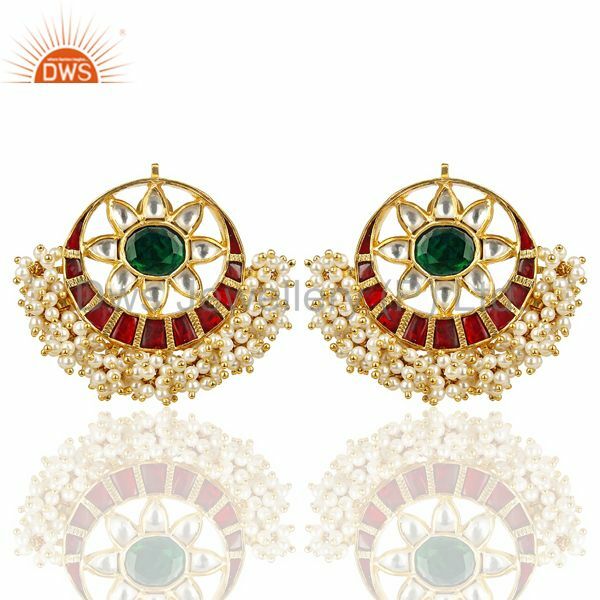 If you have a square face go for oval shaped Chandbali which will look outstanding on your face. 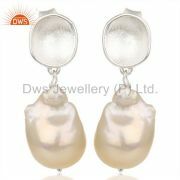 • Complexion: you complexions matters a lot for your outfit and choosing earring. 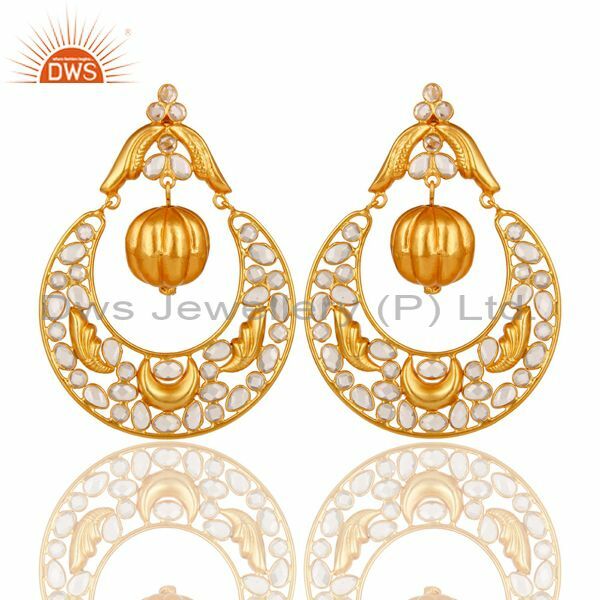 If you have pale skin go for pearls studded chandbali earrings. 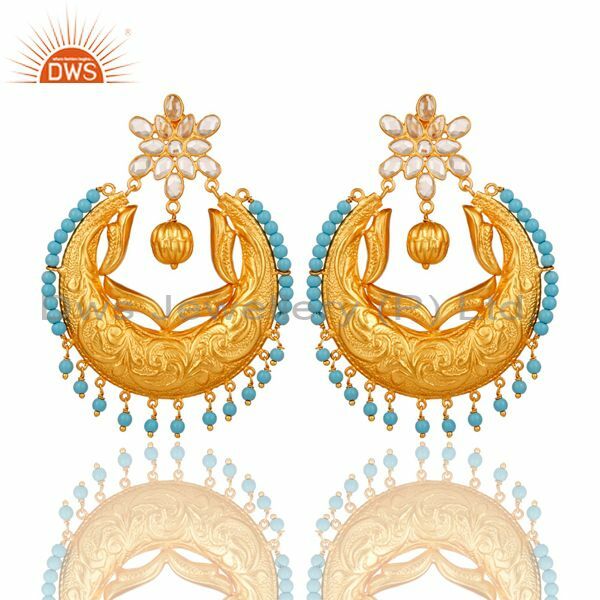 Bright, loud chandbali earrings will go well on your skin which will help your skin look more brighter. 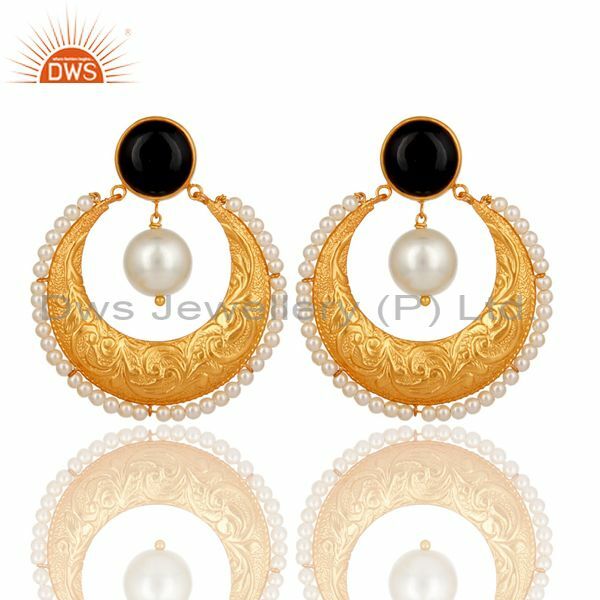 If you have dark complexion go for more colorful earring which will look at the light color can make your skin look dull. 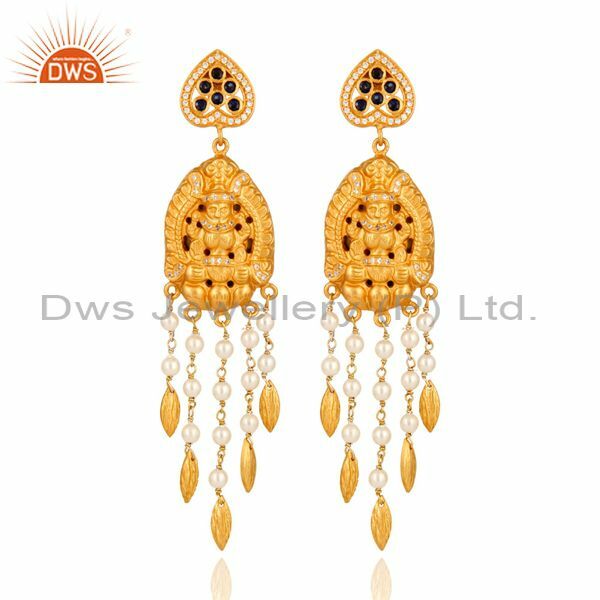 • Hairstyle: your hairstyle can bring a difference in the looks and your face try to create those type of earrings which can help you to show off your earrings. 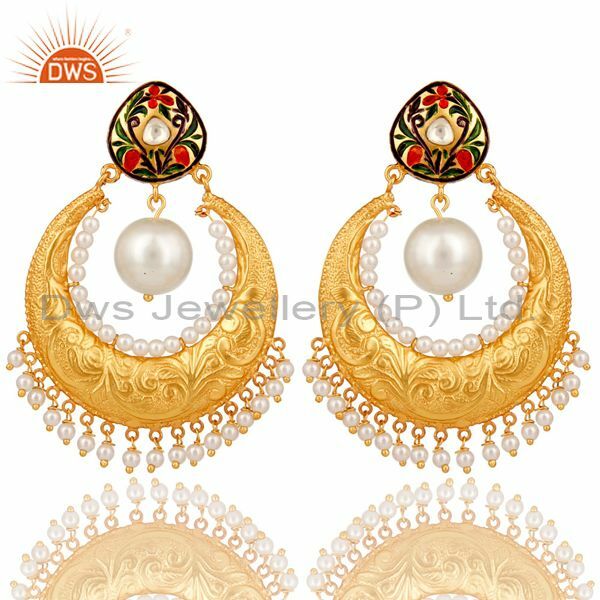 As Jaipur has chandbali earrings jewelry wholesaler which can provide you with every kind of design.